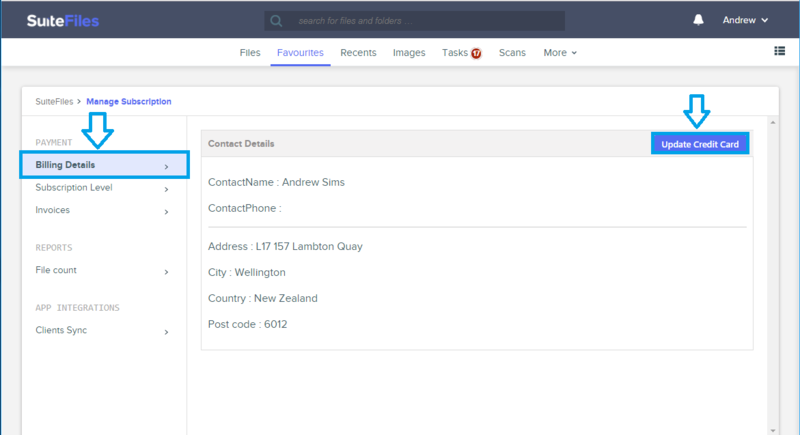 You must be a Site Collection admin, this is usually the person who originally contacted us to have SuiteFiles set up or users who had previously needed to access the management portal (where invoices and subscriptions were previously managed). Clicking the Billing Details tab then clicking the Updated Credit Card button. This will open up a form where you can enter your new credit card details to update the credit card used for your SuiteFiles Subscription.